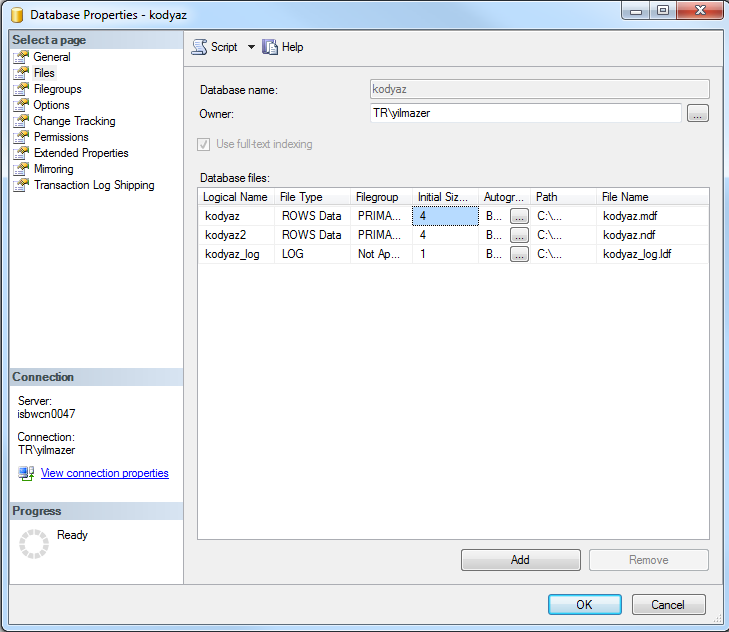 To create snapshot for databases with multiple data files could be difficult for SQL developer and SQL Server database administrators at first. This SQL Server tutorial shows how to create database snapshot for databases which have primary data file (.mdf) and secondary data files (.ndf files) too. I will also share a SQL script which can be used to create database snapshot for allowed SQL Server databases (databases except in-memory databases, master and other system databases like model, tempdb). If SQL programmer wants to create the database snapshot manually using SQL Server Management Studio which is the better way, he or she can display the properties of the database first. Then switch to Files tab. As seen in above screenshot, this tutorial's sample database has 3 database files. 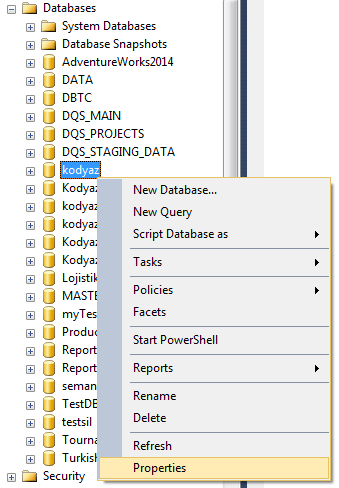 Please note that, for a SQL Server database primary data file (.mdf) can only be one for that specific database. On the other hand, SQL database administrators could create multiple secondary data files (.ndf files) for the same database. While database snapshot creation, in "Create Database" command syntax we have to define a corresponding file for each rows data type file. Then while keeping the name for each file, change the data file (you can add _SS or _snapshot, etc) file without changing the path. This is all for manual database snapshot creation SQL syntax for programmers and database administrators. It is also possible to create database snapshot by SQL stored procedure or automatically by running SQL script given at referred SQL Server tutorial. SQL Server database administrators can also review my SQL tutorial Create Database Snapshot for all Databases for details on automatically snapshot creation on a SQL Server instance.